2 tier elbow length wedding veil. 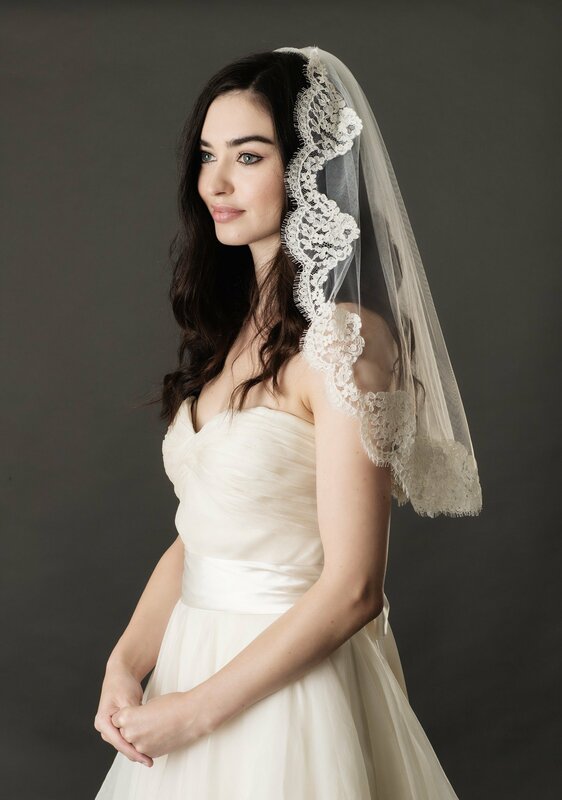 This delicate scalloped edged wedding veil is handmade using french lace edging on soft Tulle. 2 tier elbow length wedding veil. Simply beautiful, the 2 tier elbow length Mauve wedding veil is a touch of luxury. Designed using ribbon and swarovski crystals. 2 tier elbow length wedding veil. 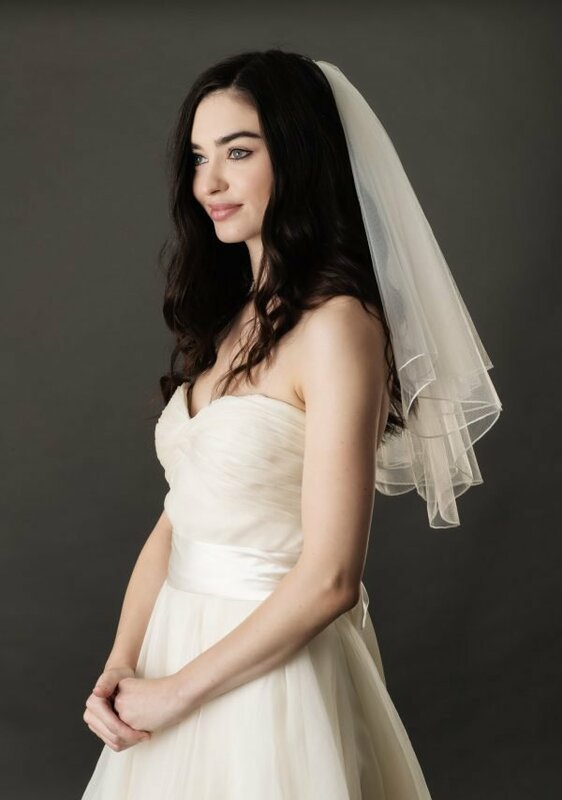 This 2 tier elbow length veil is handmade using the finest luxury tulle with beautiful satin ribbon. 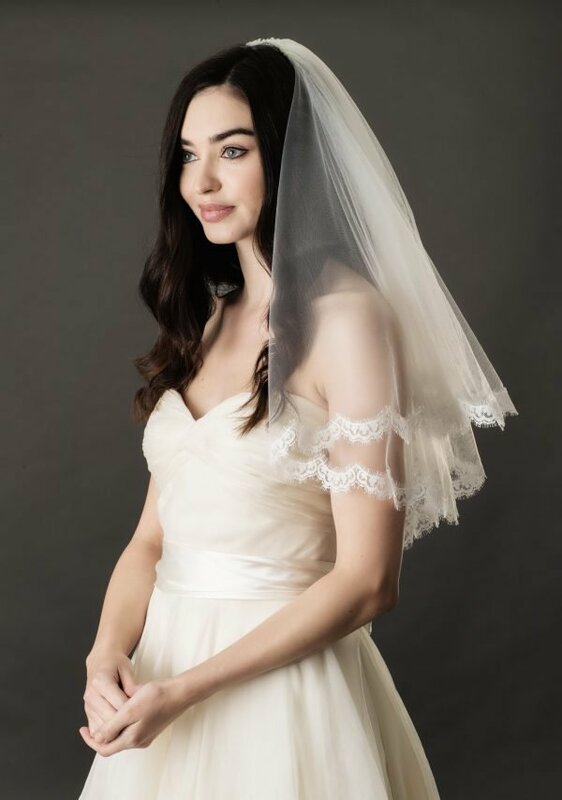 Elbow length wedding veil. 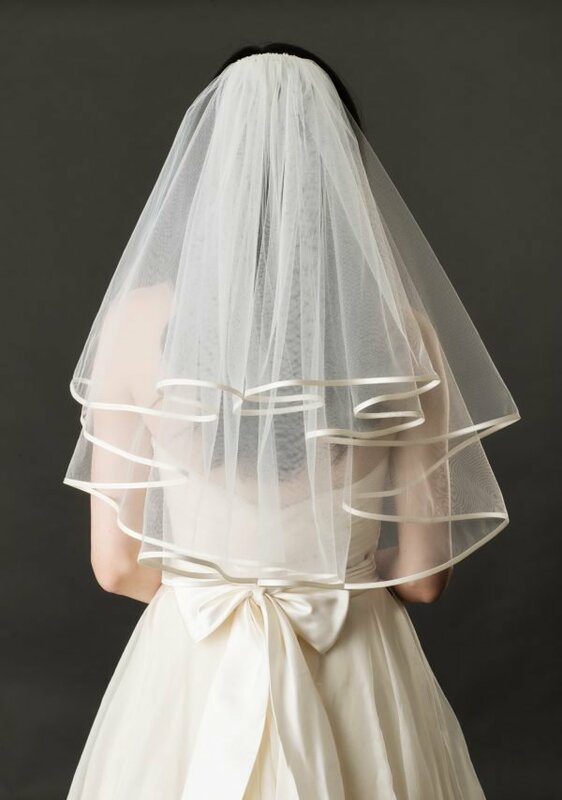 A beautiful wedding veil made of soft tulle and high quality french corded lace. Making this a timeless addition to your wedding gown. 2 tier elbow length wedding veil. 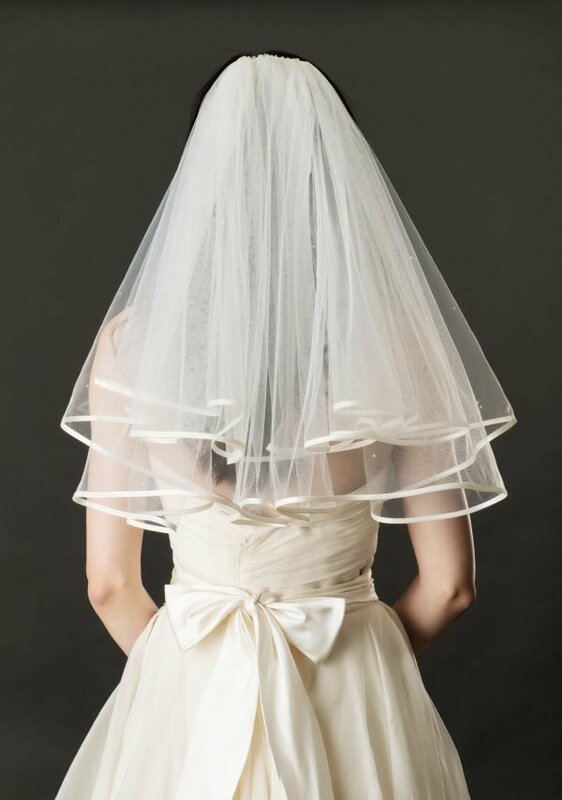 The Fiona veil is handmade using the finest luxury tulle which comes in four colours.